You may have heard or read in the news lately about a new and exciting treatment for osteoarthritic or cartilage-damaged joints using stem cells. So what exactly does this mean? And if you are a sufferer of joint pain – is it worth getting excited about? First off – what are stem cells? 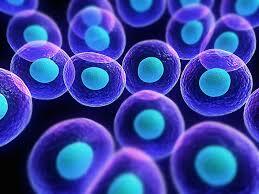 The cells in question are called ‘mesenchymal’ stem cells (MSCs). These are found mainly in your bone marrow that amongst other things have the potential to grow into a variety of different cell types, including bone, cartilage, muscle and tendon cells. The idea is that Stem cells can be isolated and taken from the patient, and then transplanted into wherever the joint tissue is degenerated. A lot of the current trials for joint problems are focused on osteoarthritis – especially in the knees – but the use of Stem cells for meniscus damage and even bone fractures is also being trialed. From the hundreds of trials being run, some have had good results in both animals and humans. The therapy has been shown to reduce joint pain, improve joint function and aid tissue healing; but the most remarkable finding is that in some cases there was actually growth of new, healthy cartilage. This is a huge development, especially with regards to the treatment of osteoarthritis. The catch is that this Stem cell therapy is still in its early stages, and so there are not huge bodies of evidence to support it yet. In addition to this, the trials that have been done so far have been of variable quality – mainly because the therapy has not yet been tested on huge numbers of people. The results could be promising so far but it is not yet known what its effects will be 5, 10, 20 years down the track. Currently the cost for the patient is also in the thousands – although this differs if you are taking part in an experimental clinical trial. Stem cell therapy is a very exciting potential treatment option for degenerative joint conditions, but it is still very new and in its early stages. One thing is for sure, stem cell use will not change the hard work that will need to go into your knees to get them going. New trends in physio are here to help get you there.